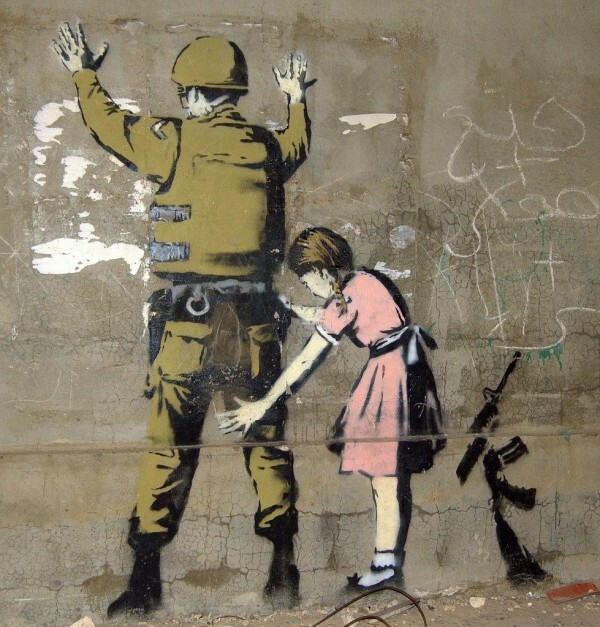 Everyone loves Banksy. 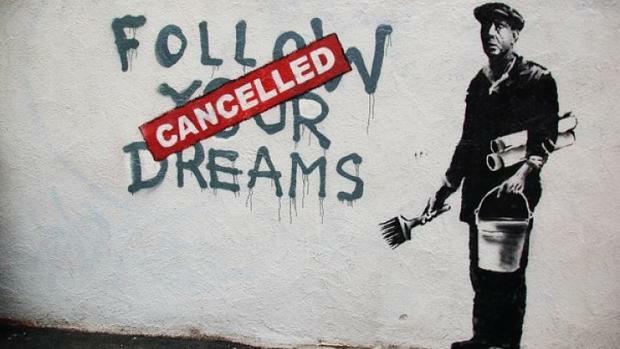 And if you don’t know about Banksy yet, crawl out from under your corporate junk filled lives!!! Just kidding. I think I first learned of the guerilla artist through the Colbert report, so…I’m not sure what that says about me. These evocative images obviously speak for themselves, and have a certain element of sadness that most social-activism, in any form, seeps. Anyway, everyone’s caught up on Banksy because this is technically “vandalism,” just as graffiti is. And he sneaks in during the night and leaves something a bit more profound than a cracked wall. And he’s pretty baller at it, too. There is a certain aspect of space and place that is necessary for his art to “work.” Would it mean the same hanging in a swank gallery downtown? Would it mean the same reproduced and hung in a coffee shop? And what does this have to do with a language arts class? For teenagers? 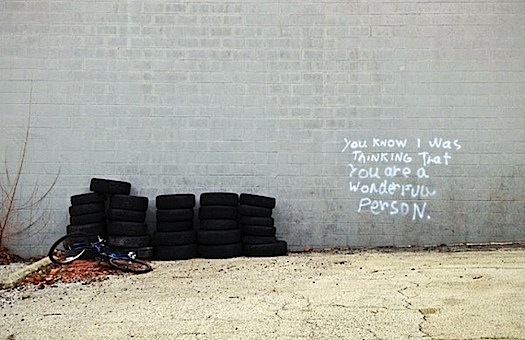 I came across ‘guerilla poetry’ somewhere on the internet awhile back. I said to myself, “that’s cool, but I am not cool enough to teach that.” Keep in mind that gorillas are not involved, but this is not stopping me from thinking about wearing a gorilla suit to introduce the unit. I have since stopped trying to be cool, because when I try I end up being way less cool than I began. So what the hell! 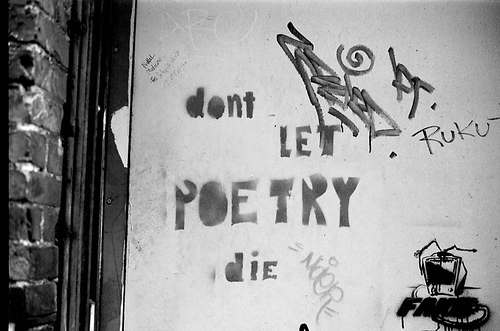 Guerilla poetry it is. I would say I am a “student” of the art form, meaning I don’t know a whole lot and am relying on the internet to figure this out, because it’s not exactly something I learned how to do in college. This article from the Guardian was a good place for me to start. It is a pretty honest and practical way to carry out the form in the classroom. 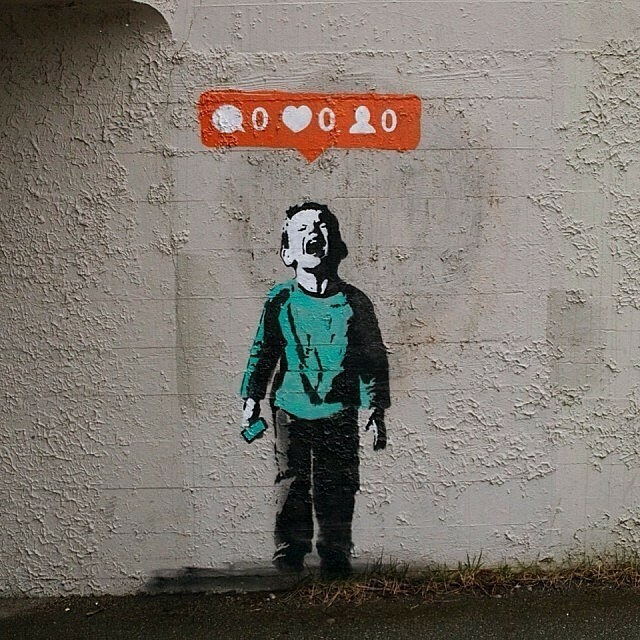 Just like with Banksy’s art, this brings writing into a different space and place, and adds an element of excitement and subversiveness that most teenagers can get behind. 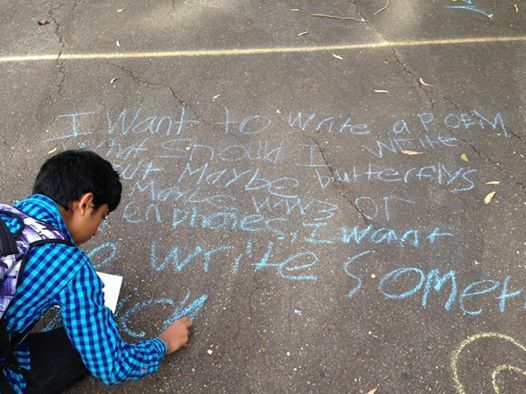 And most importantly, it shows them they are writers always–in any place, on any surface. Now obviously we will not be spray painting walls. I think it would be wonderful and exhilarating, but we must all tow lines of appropriateness in the workplace. We’ll see 🙂 Maybe we will pretend with chalk. Have any of you tried/taught guerilla poetry? What works? What doesn’t? I need ideas!